This entry was posted in one-time events on April 17, 2019 by agudasachim. This entry was posted in one-time events on April 4, 2019 by agudasachim. This entry was posted in one-time events on March 7, 2019 by agudasachim. 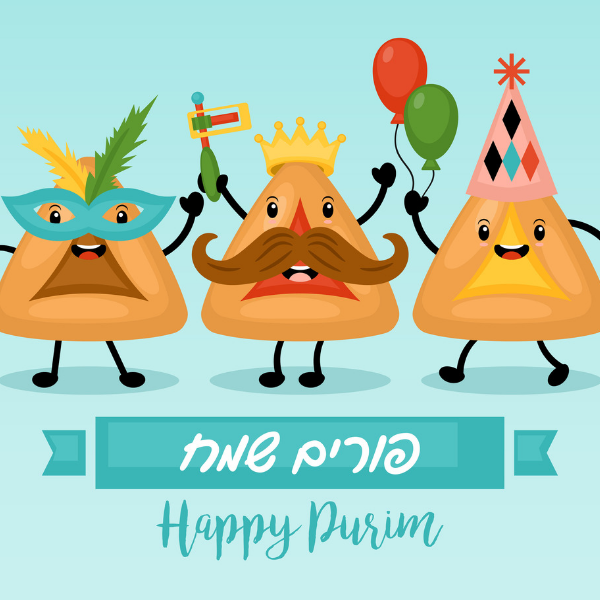 Come for nosh (hamantashen) & drinks, followed by Purim trivia and a costume contest w/awesome prizes! Maariv & Megillah reading will begin at 8 pm. Join congregations across Central Ohio in a scripture study centered on God’s call for us to “do justice” as related in scriptures such as Micah 6:8 and Matthew 23:23! This scripture study is sponsored by the BREAD Clergy Caucus. BREAD is a coalition on congregations in Franklin County, OH. It is a justice ministry organization that provides congregations with a powerful vehicle to meet the justice mandate and address serious community problems. For more information and to RSVP, call the BREAD office at 614-220-9363. Are you interested in learning how to read Hebrew? Join Zilla Loon on Tuesday nights from 6:00-7:00 pm at Agudas! Class begins on Tuesday, March 12 from 6-7 pm. Zilla Loon has K-8 teaching certification from the State of Israel. She began her career as an educator in the Israeli army when she was chosen to be a teacher to Druze soldiers and to soldiers who arrived in the army with weak Judaic backgrounds. Zilla has also earned her BA in Philosophy & Hebrew literature, and certification for teaching high school from Tel Aviv University in Israel. She received her MA in Education from The Ohio State University, and has since been teaching at Agudas Achim, OSU, Columbus Torah Academy, Temple Israel, and Congregation Tifereth Israel. Contact Naomi at the shul office for more information, 614-237-2747. Get your Mahj sets out and join with the others for a fun evening of play! 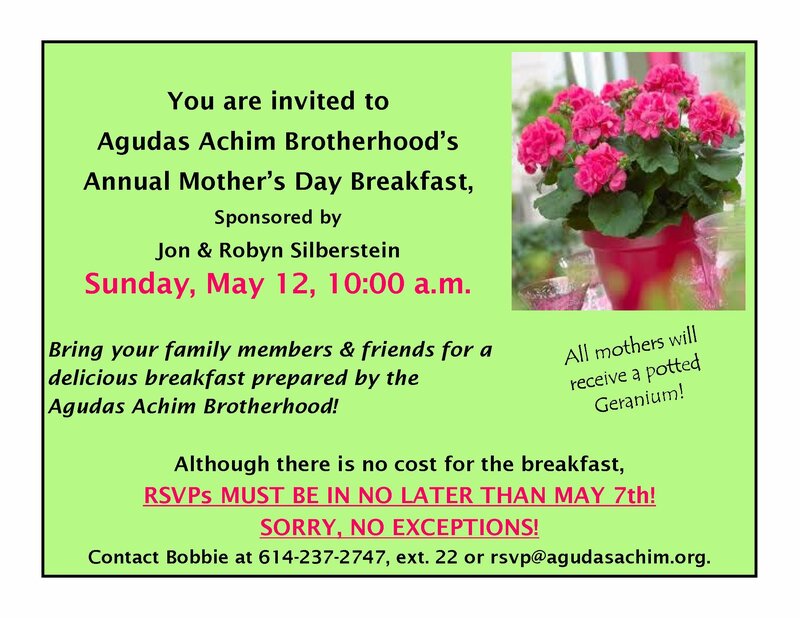 RSVP to sisterhood@agudasachim.org (sisterhood@agudasachim.org) to confirm that you will be there! Our program will be Purim-themed so you and/or your children are welcome to come in costume if you’d like! We will sing, pray, move, learn sign language, and much more! A lite snack will be provided for the children during the service. Questions answered: Amidah or Shmoneh Esrei? Why do we sometimes repeat? Shabbat Kavanah is a new initiative at Agudas Achim to make leading and participating in Shabbat morning services more inspiring for more people. * a more purposeful atmosphere for prayer. Some of these changes will work well, and may even become part of our regular services. Other changes will flop, which we’ll drop and then move on. 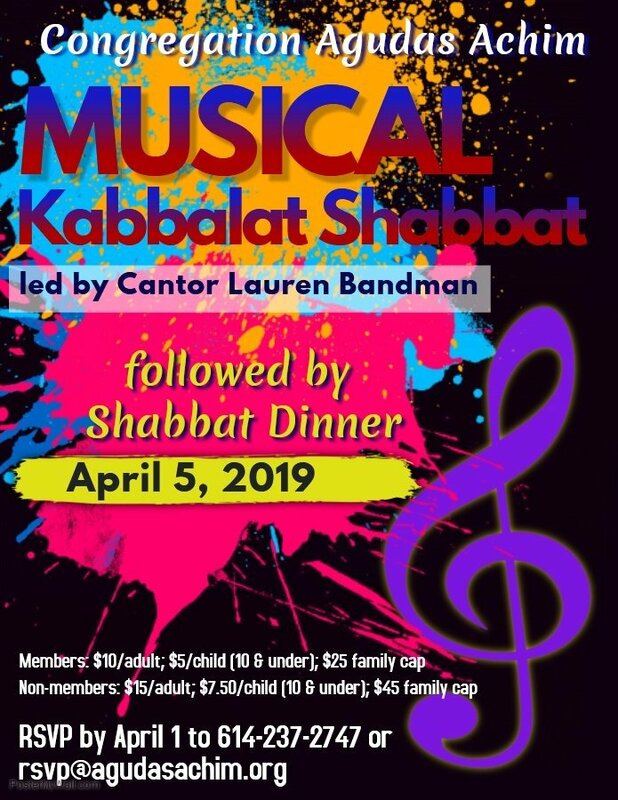 Regardless of the changes, we are still planning to break for lunch around 11:30 and will maintain our current standards of Shabbat observance (e.g., no musical instruments). With support from Rabbi Levine and the Executive Committee, the Kavanah Committee will decide which innovations to try out and, eventually, which to keep. Committee members include Kenny Steinman (chair), Reuven Clein, Laura Clubok, Adam Davis, Eva Fried, Rabbi Ilan Schwartz, Annie Shmookler, Stephanie Wapner and Leah Weintraub. 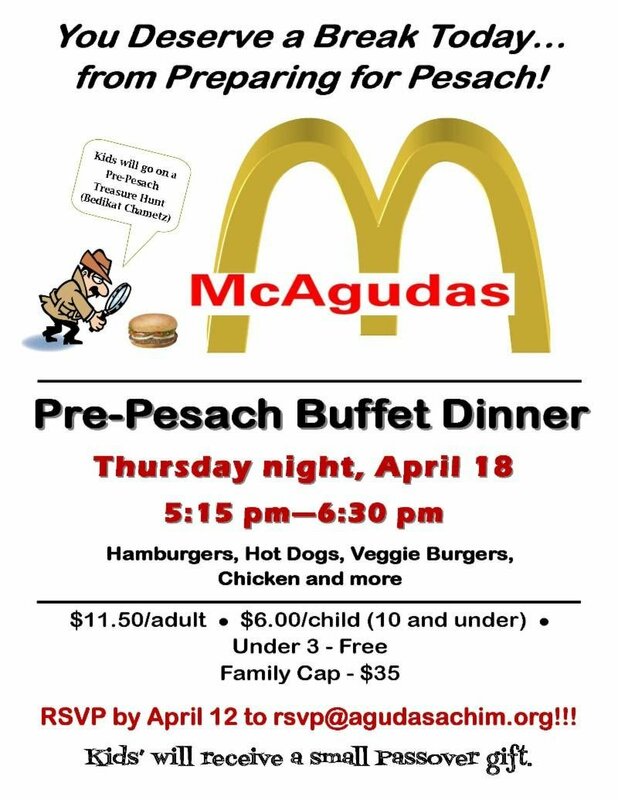 We are eager to hear from all Agudas members! Committee meetings are open to all congregants. contact href="kavanah@agudasachim.org" target="_blank" rel="noopener" shape="rect">kavanah@agudasachim.org. This entry was posted in one-time events on January 31, 2019 by agudasachim.